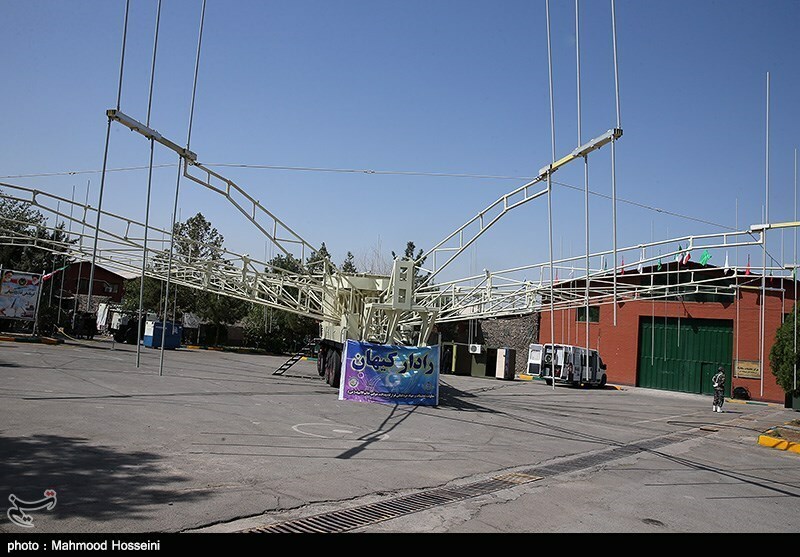 Above: IRIADF Brig. 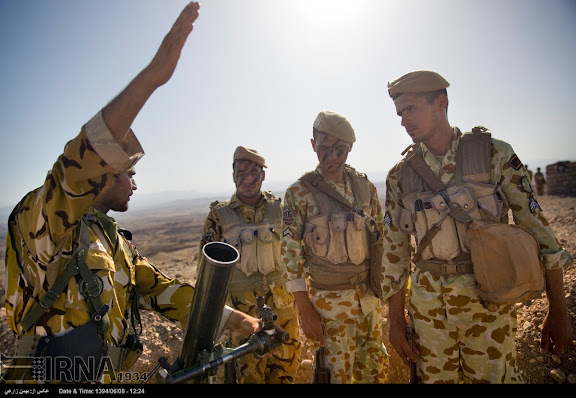 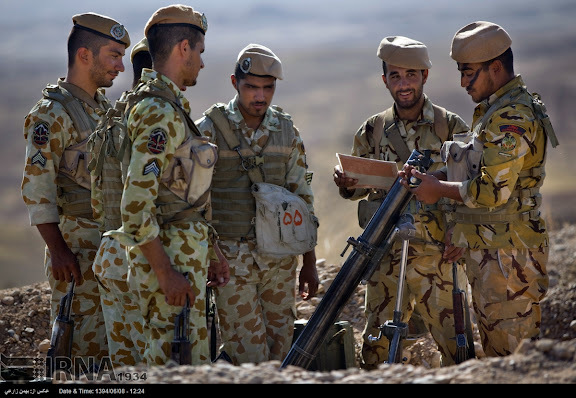 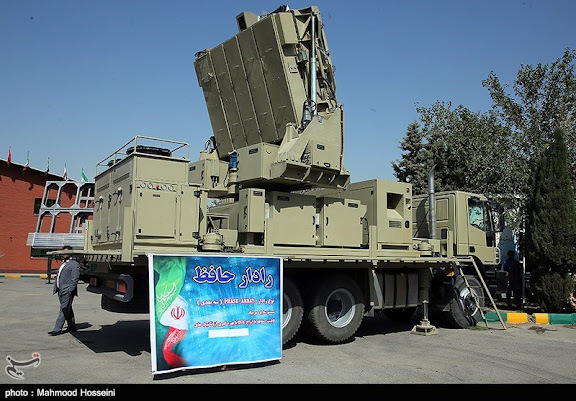 Gen. Esmaeli before Sayyad-2 (“Hunter-2”) surface-to-air missile (SAM) launcher of Talash ("Endeavor") air defense system. 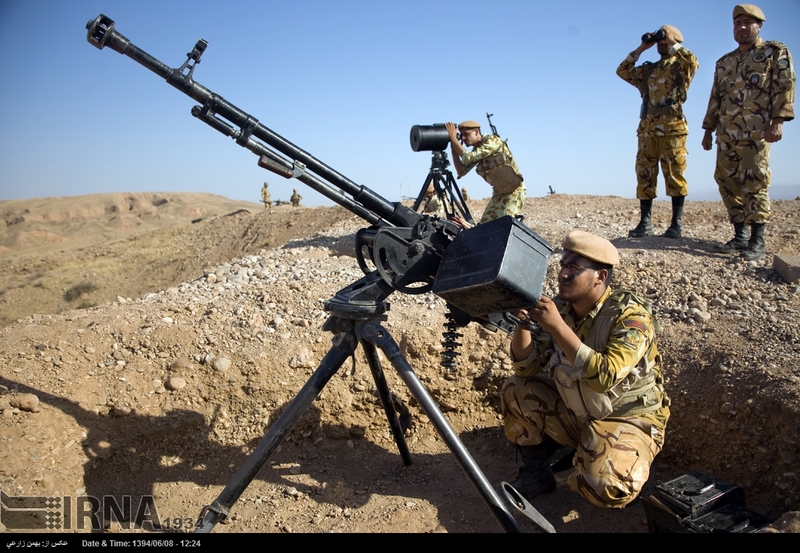 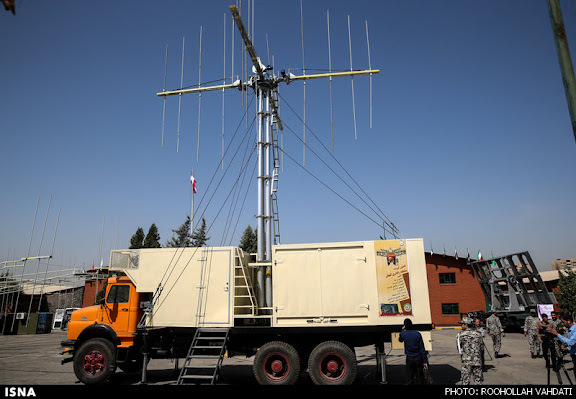 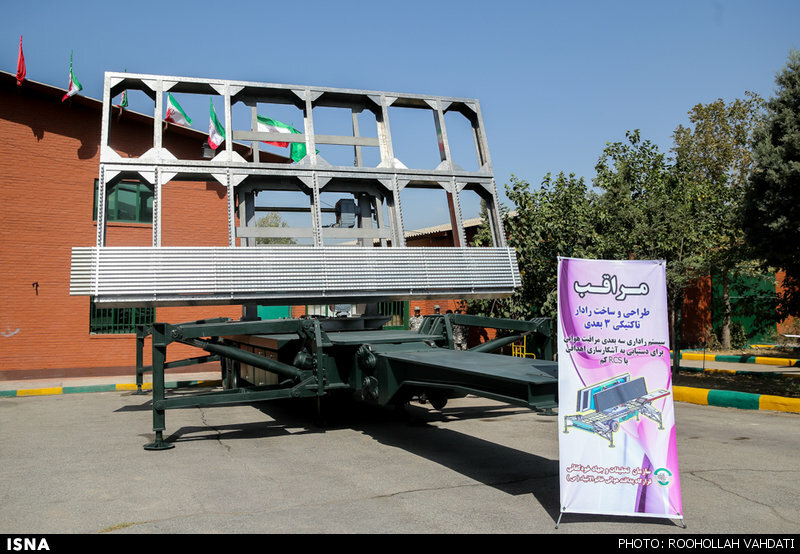 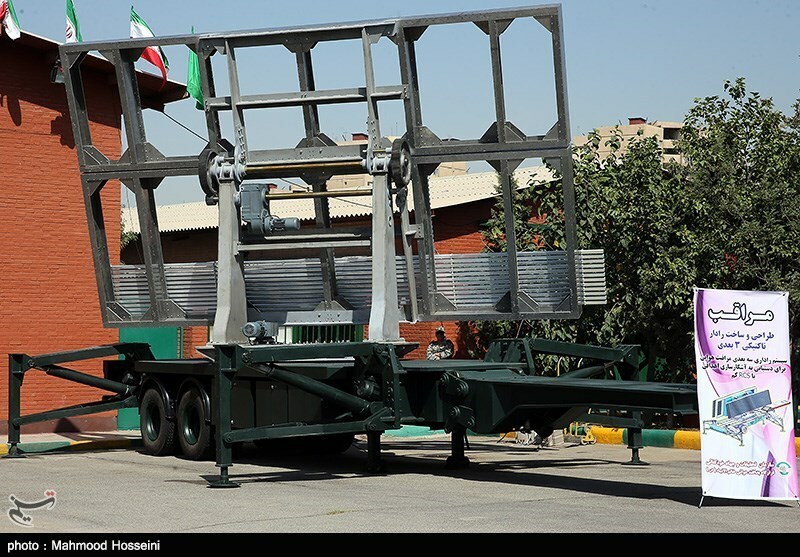 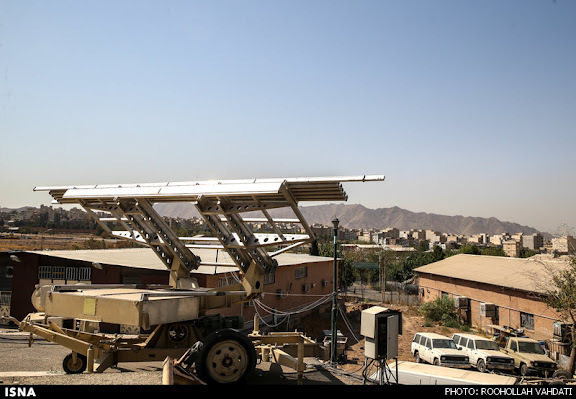 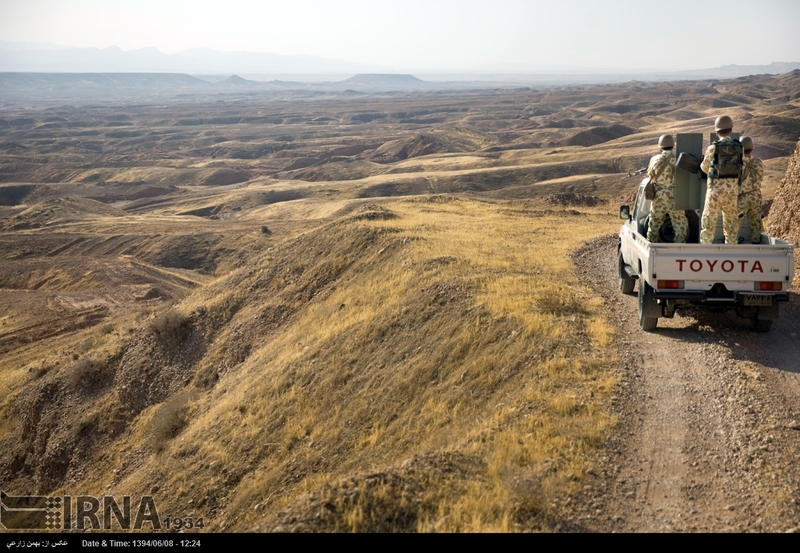 A number of Iran’s manufactured air defense systems, including upgraded radars and electronic warfare equipment, were exhibited on 29AUG15 in Tehran. 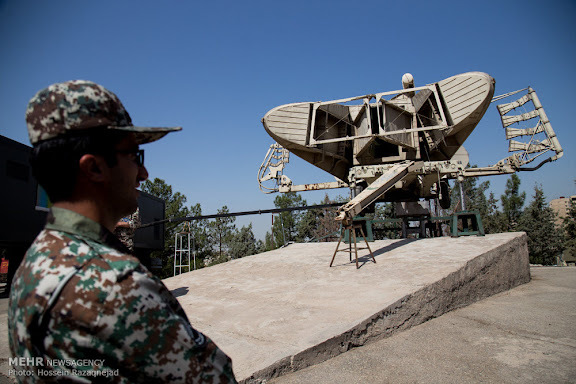 One of the uAlalalmnveiled products was the upgraded model of the Keyhan (Cosmos) radar. 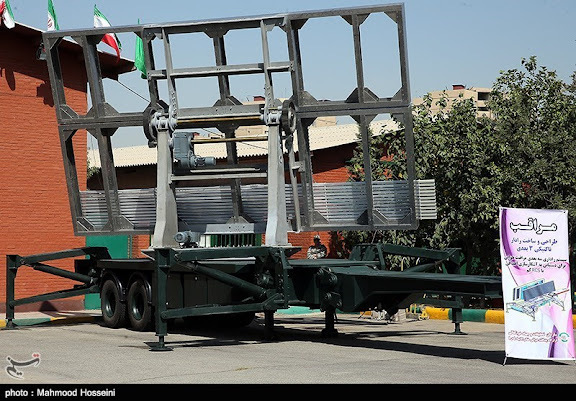 According to the commander, this new version is a fully mobile radar system with high resolution. Keyhan is a long-range radar that uses mixed frequencies to identify small flying objects, and is suitable for detecting large number of aerial targets in the electronic warfare. Elsewhere in the exhibition, a variety of ground-based radar jamming systems were unveiled. 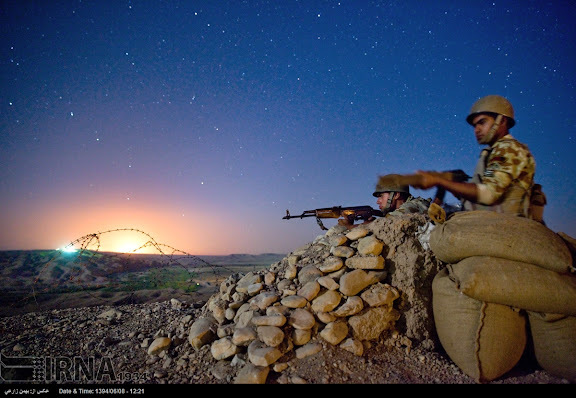 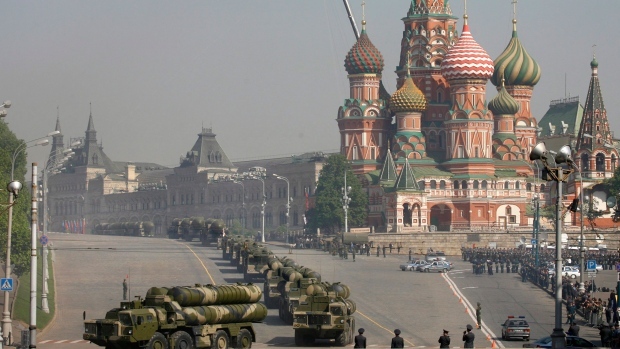 The jamming systems, which have been connected to the country’s integrated air defense network, are employed for electronic countermeasures in the fight against aerial threats. 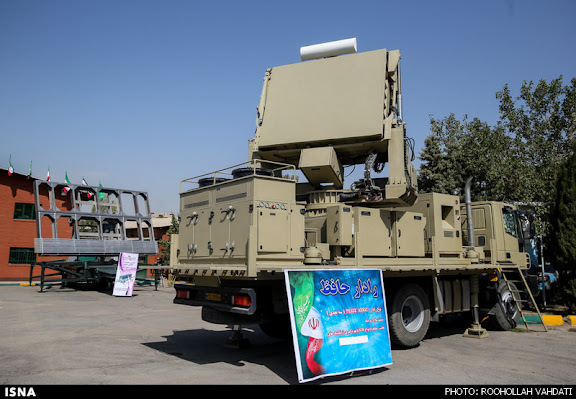 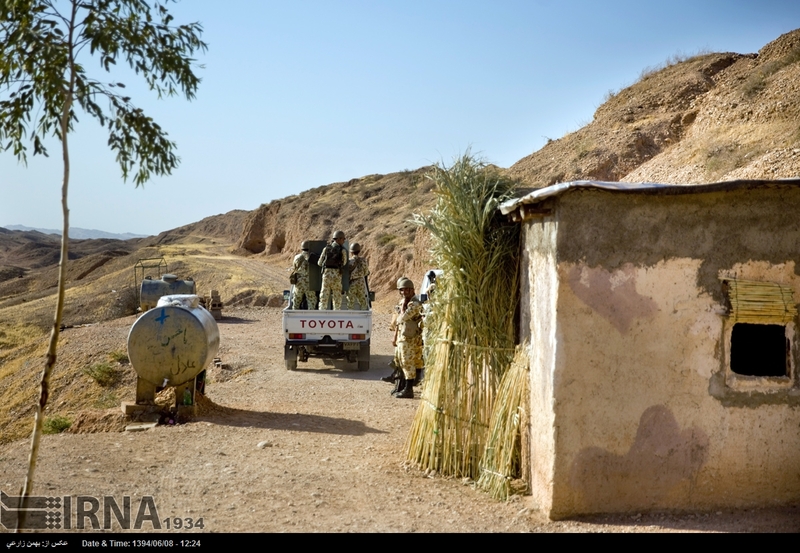 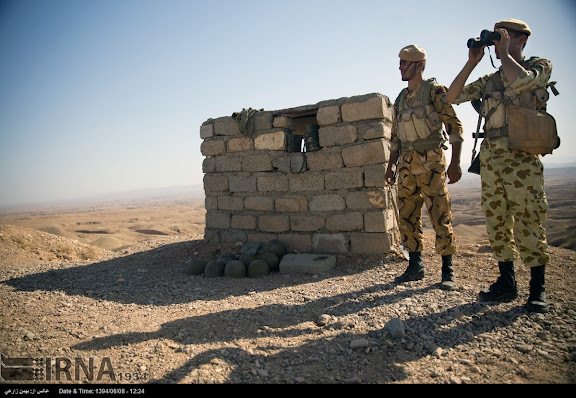 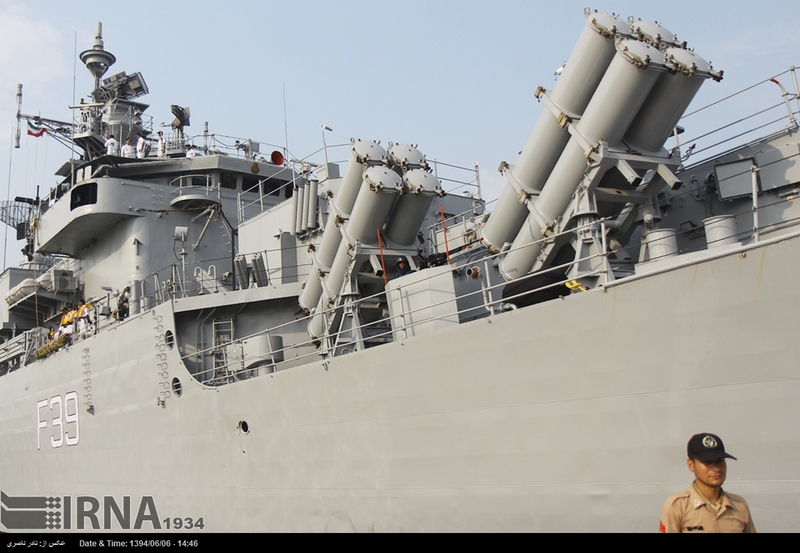 A number of other Iranian radars, including Bina, Nazir and Talash were also put on display in the exhibition. 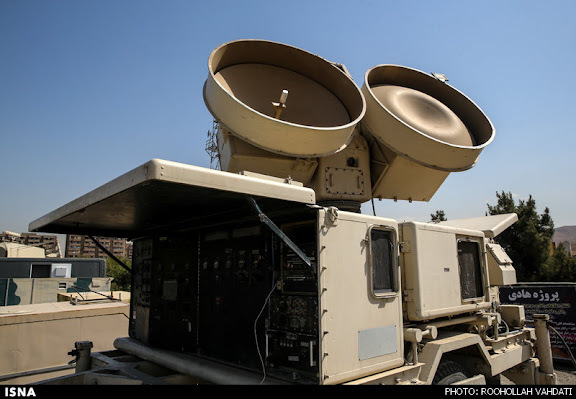 Modified AN/MPQ-46 High Power Illuminator (HPIR) radar for modified MIM-23 I-HAWK type medium-range surface-to-air missile. 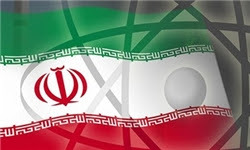 Iranian President Hassan Rouhani has opposed a parliamentary vote on the nuclear deal, the JCPOA, saying terms of the agreement will turn into legal obligation if it is passed by Majlis. 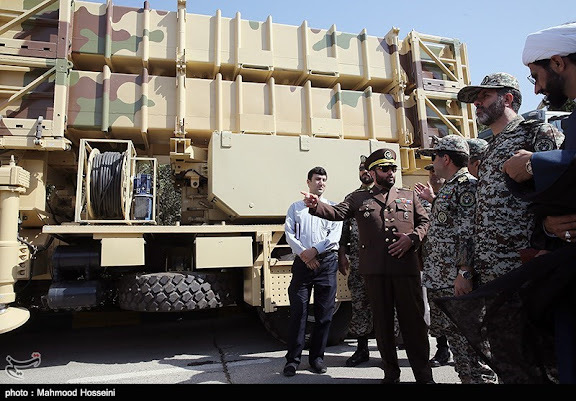 Rouhani has referred the JCPOA to the Supreme National Security Council (SNSC), the country’s highest national security body. As president, Rouhani chairs the SNSC and is believed to have enough votes in the body for the approval of JCPOA. 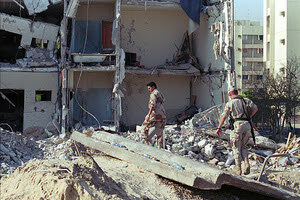 Mughassil has been indicted by a U.S. court as being the architect of the truck bomb attack that devastated the towers at a U.S. military base in Dhahran, killing 19 U.S. servicemen and injuring 372 people in June 1996. It was the deadliest blast against U.S. troops since the 1983 U.S. Marine barracks bombing in Beirut. 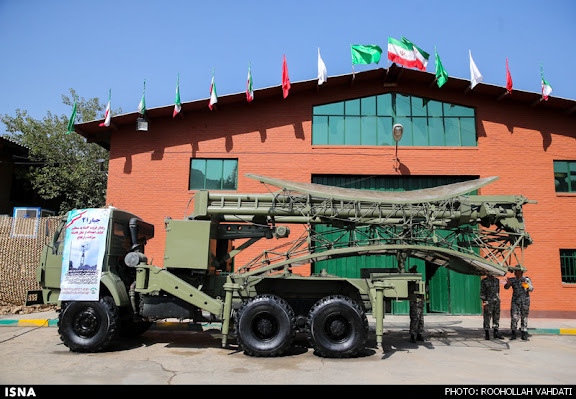 Mughassil was the military commander of Saudi Hezbollah, an Iranian Quds Force-backed extremist organization believed to be behind the attack. 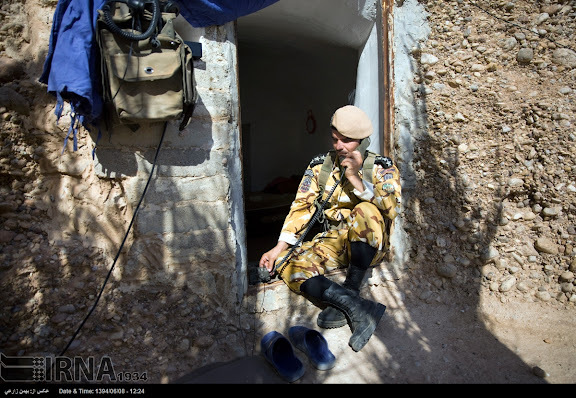 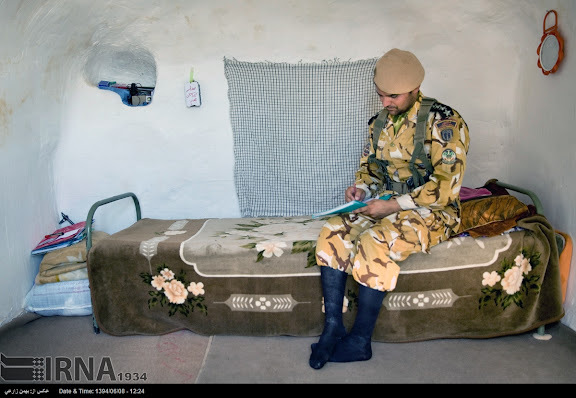 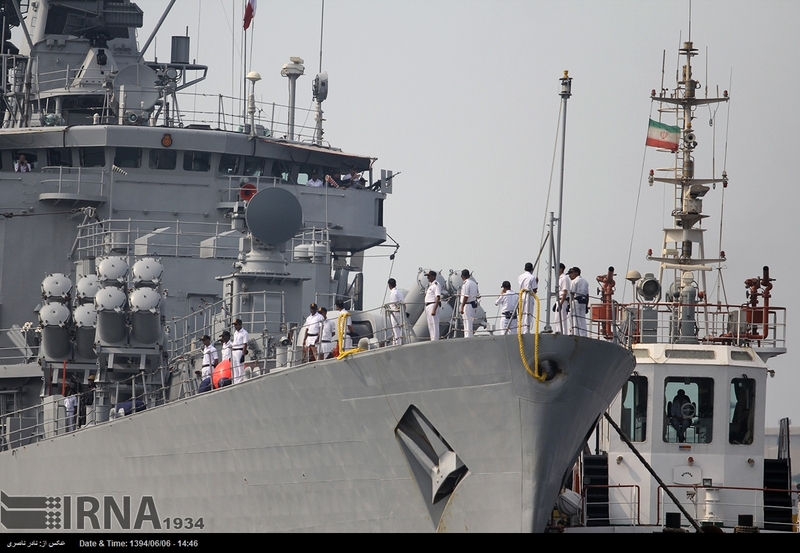 If confirmed, his arrest and extradition to Saudi Arabia would be a coup for the Saudi government and could be a disaster for Iran and the Quds Force if Mughassil cooperates with the authorities. The FBI had offered $5 million for his capture. 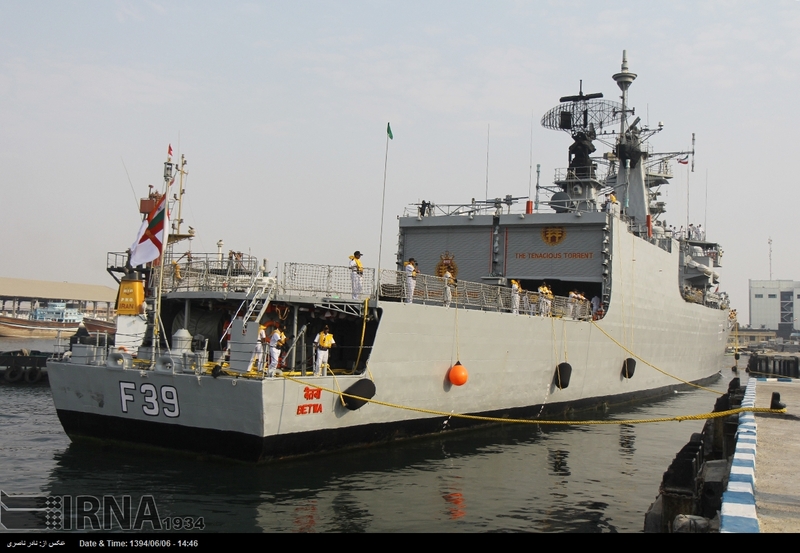 Ash Sahrq al-Awsat said Mughassil has been sent to a U.S. military base in Saudi Arabia. 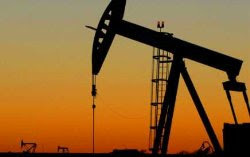 The Associated Press quoted an unidentified Saudi official as saying Mughassil, a Shia from Qatif in eastern Saudi Arabia, was arrested two weeks ago in Beirut after having arrived from Iran. 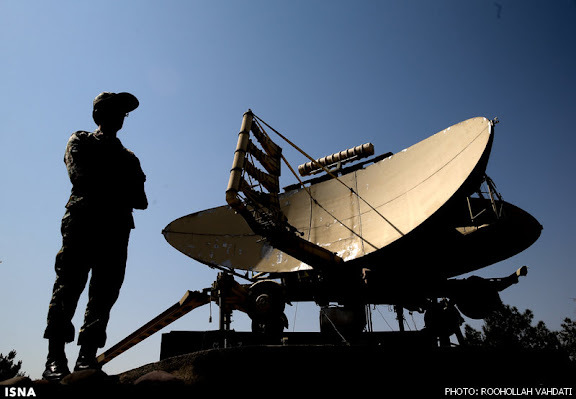 He was attempting to reach the Hezbollah-dominated southern suburbs of Beirut when he was detained, the official told AP. 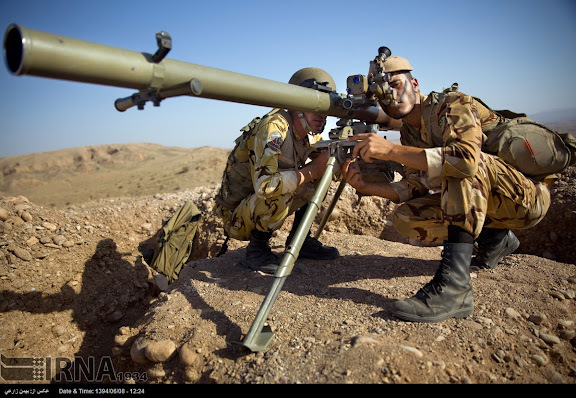 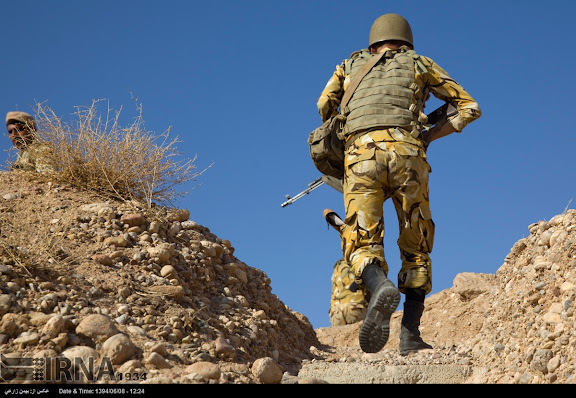 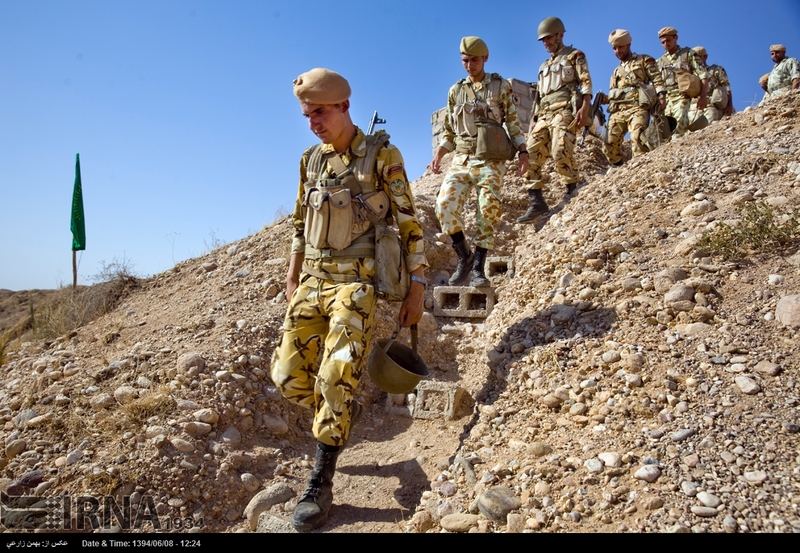 Iran is reportedly the principal backer of Saudi Hezbollah, also known as Hezbollah al-Hijaz, as well as its powerful Lebanese counterpart. 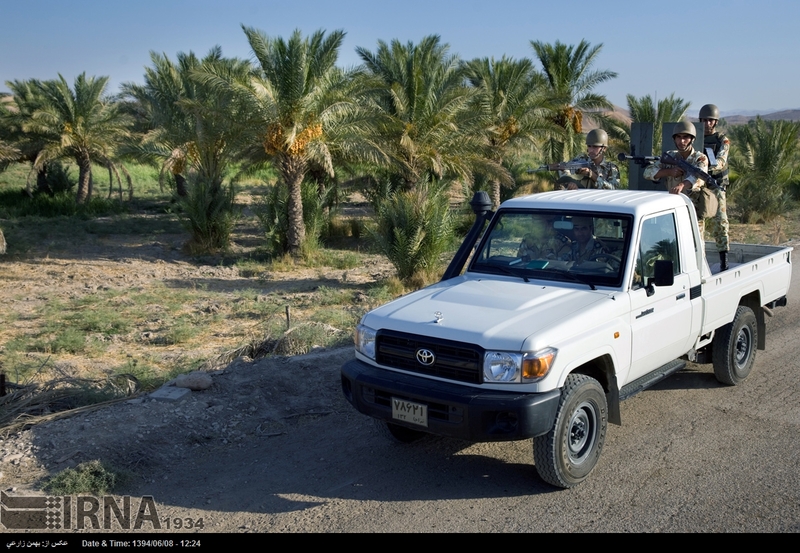 A 2001 federal indictment accused Mughassil and 12 other Saudi Hezbollah members of carring out the Khobar bombing. 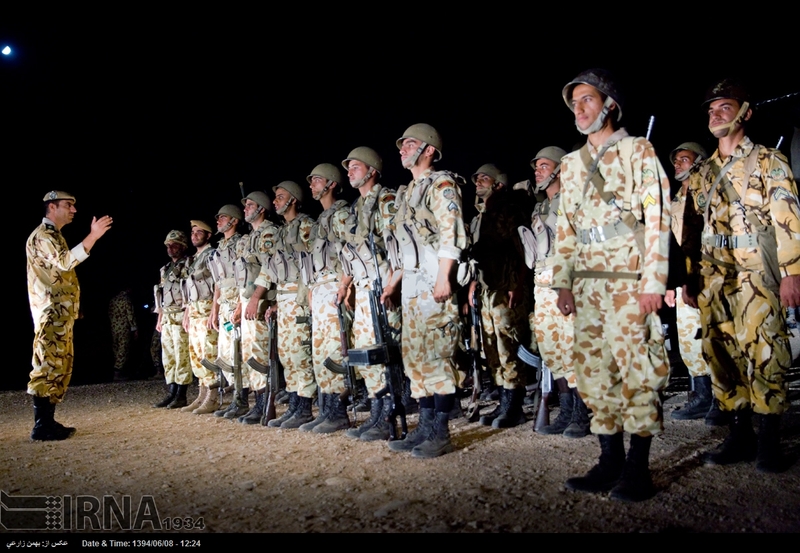 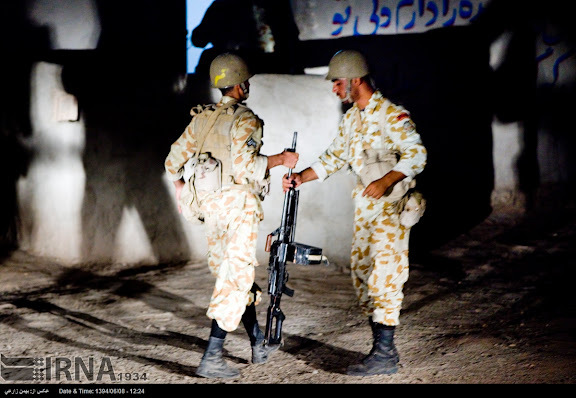 The indictment also provided details of the alleged links between Iran and the Saudi and Lebanese Hezbollah. 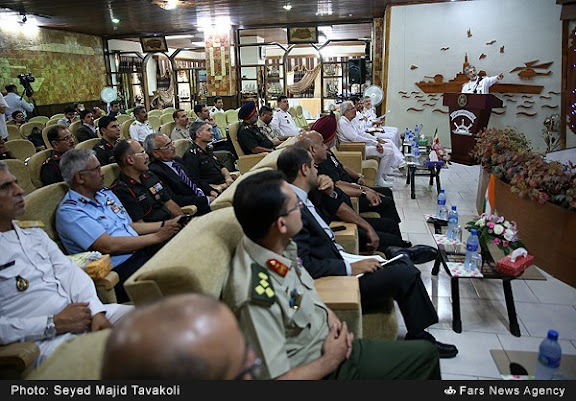 Iran has always denied any involvement in the Khobar Towers bombing. 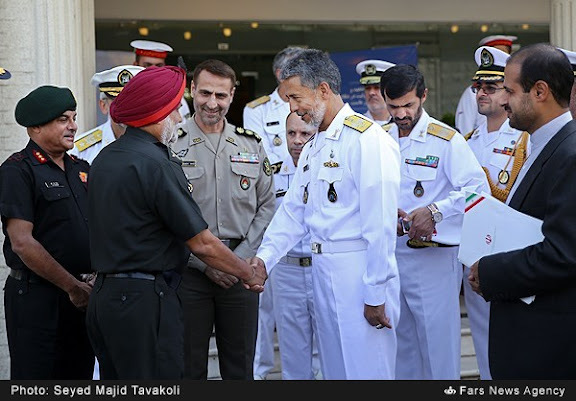 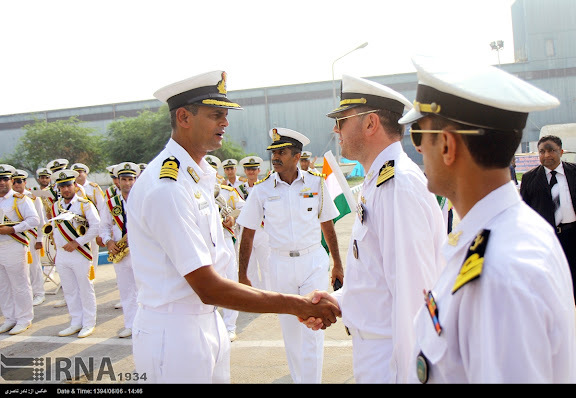 Iran Navy Rear Admiral Habibollah Sayyari shakes hands with members of military delegation from India’s University of Strategic Sciences, on AUG26 at the Iran Navy headquarters in Bandar Abbas. 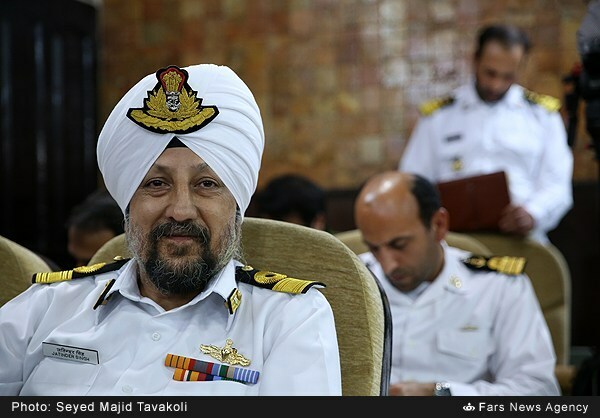 Sayyari expressed the hope that Iran and India would promote their relations in a way to end trans-regional countries’ presence for safeguarding security in the northern part of Indian Ocean.He then said northern part of Indian Ocean is one of the strategic trade areas of the world due to the existence of energy routes. 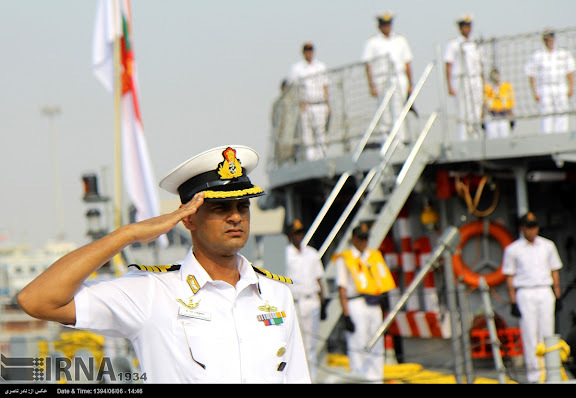 Elsewhere, Sayyari announced that the country will host navies from 45 world countries since it has received the official membership of a conference of navy commanders of Indian Ocean littoral countries in 2018, IRNA reported. 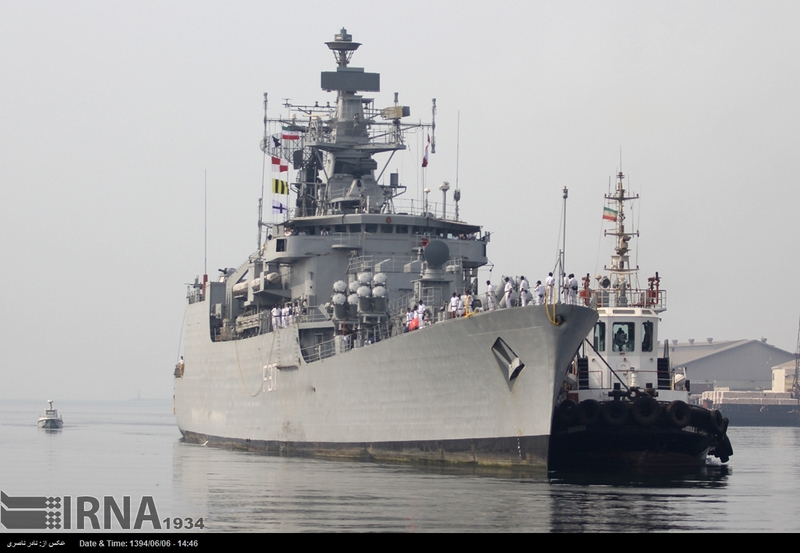 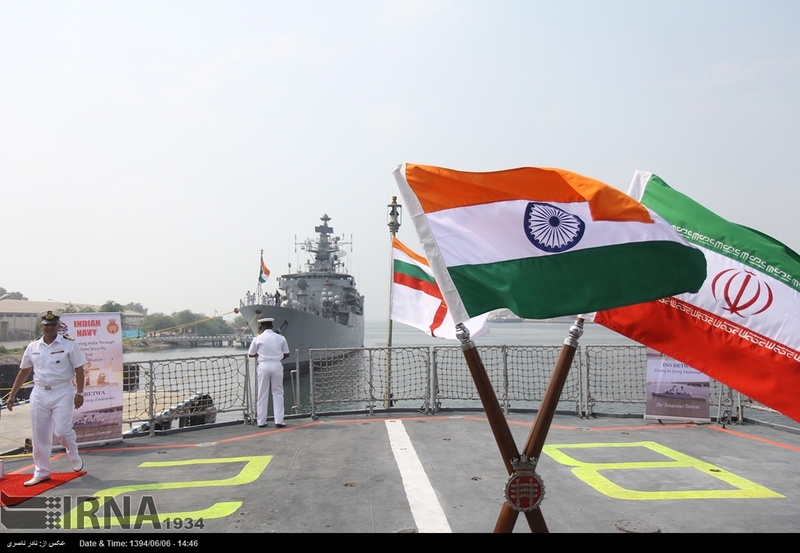 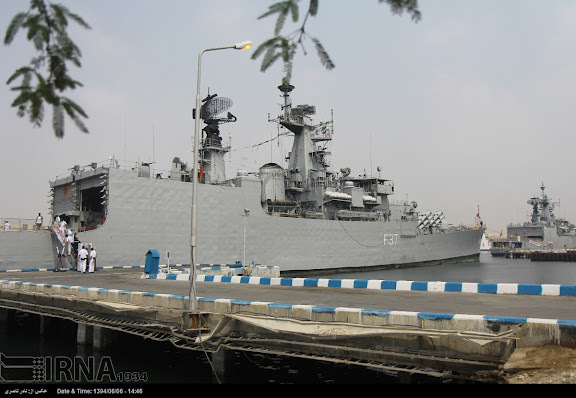 It is being reported on 28AUG15 that Indian Navy ships INS Betwa (F39) and INS Beas (F37) have docked at Bandar Abbas on a scheduled exchange visit to IRIN 1st Naval Region Headquarters. UOI will post photos with captions as they are made available. 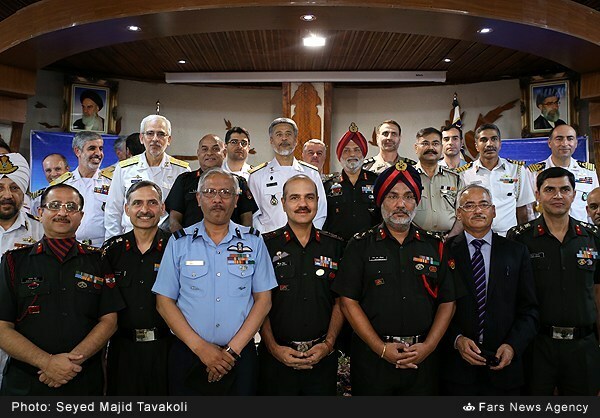 Group photo of members of military delegation from India’s University of Strategic Sciences and Iranian military hosts at Iran Navy HQ in Bandar Abbas. 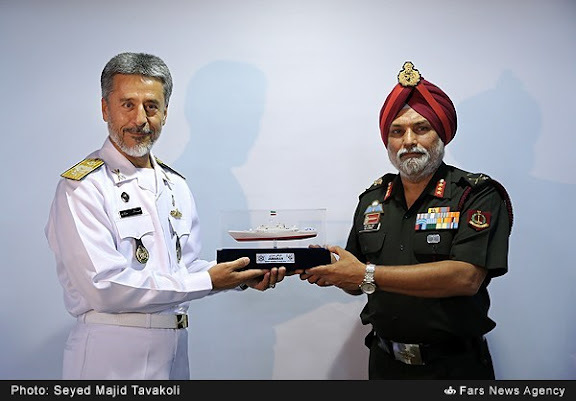 Ranking officer of the Indian military 16-member delegation, Indian Army Lt. Gen. Navkaran Singh accepting gift from Iran Navy Rear Admiral Habibollah Sayyari. 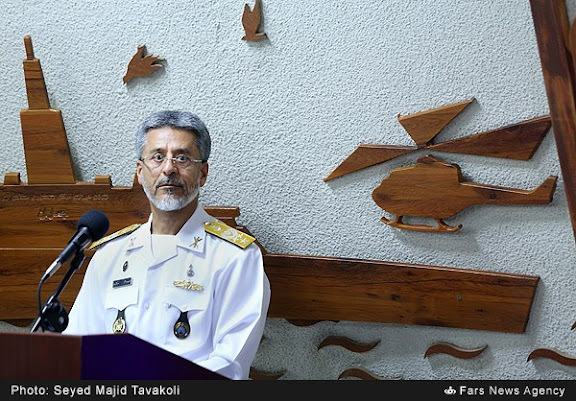 Detail of Iran Navy themed woodcarving behind IRIN Commander Rear Admiral Habibollah Sayyari, Commander of Islamic Republic of Iran Navy.